The 2019 Coordinating Research Council Aviation Committee Meetings will take place at the San Juan Marriott Resort & Stellaris Casino in San Juan, PR, on April 29 - May 2, 2019. These meetings represent the primary World forum for discussion of aviation fuels research and development. Speakers and delegates from across the globe cover every aspect; production, distribution, aircraft fuel system/engine design, additives and emissions. Focus is strongly on leading edge technology and investigative analysis through experiment and theory, both in the laboratory and from field experience. Registration check-in begins at 12:00 pm on Monday, April 29th, the meeting sessions begin at 1:00 pm that same day. A Welcome Reception will follow at 6:00 pm that evening. The meeting sessions will start at 8:00 am on Tuesday, April 30th and end at approximately 12:00 pm on Thursday, May 2nd. Registration fees and travel expenses are the responsibility of the registrant. The registration fee for attendees (including presenters) is $325. The fee includes breakfast, breaks, and a networking dinner event on Tuesday evening. 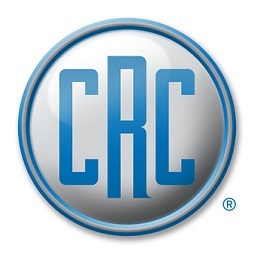 CRC has negotiated the rate with the hotel to WAIVE the resort fee. The online reservation system will not allow the removal of the resort fee upon making the reservations. All charges to each guest will be made on site once they check in and the group will not include the resort fee as part of the charges. Unfortunately, the Marriott reservations system does not provide the opportunity to eliminate the resort fee from the email communications and this may certainly cause confusion among group attendees. There will not be a resort fee charged.